CAFFORD OWEN BINGHAM was born September 16, 1892 in Harper, Gillespie County, TX., and died September 13, 1980 in Brady, McCulloch County, TX. He was the third child born to Mack David Bingham and Benson Bellzora (Belle) Wilson Bingham. He had five brothers and six sisters. 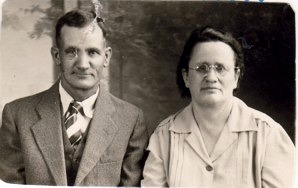 He married SALLIE ATTAWAY November 03, 1911 in Shelby County, TX, daughter of JOHN ATTAWAY and MATILDA NORTHCOTT. She was born August 27, 1894 in Comanche, Comanche County, TX., and died September 21, 1982 in Brady, McCulloch County, TX. Cafford and Sallie had five chidren – two boys and 3 girls. The youngest, Johnnie Mac, died of pneumonia when he was three years old. They moved to Calf Creek, Texas to raise their family, and many of their relatives are buried there. 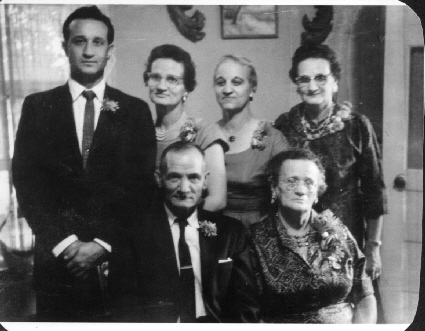 Cafford and Sallie were good parents to their five, good grand-parents to their many, and good loving great-grandparents to their uncounted number. They were loved and respected by all, their home was always home to many. They were affectionately dubbed “Blue Mama” and “Blue Daddy” by their first grandchild, and the name stuck forever. Letters from Sallie even to her children were most often signed “The Blues” thereafter. They were neither rich with wealth nor powerful in their lifetimes, but they were known and respected by a great many people because of their kindness and loving nature. Cafford and Sallie had three girls and two boys. LAVADA MARIE BINGHAM b. December 24, 1915, Calf Creek, McCulloch County, TX; d. December 04, 1997, Harris County, TX. ESTHER BINGHAM bb. December 07, 1920, Calf Creek, McCulloch County, TX. ROBERT OWEN BINGHAM b. March 31, 1924, Calf Creek, McCulloch County, TX. 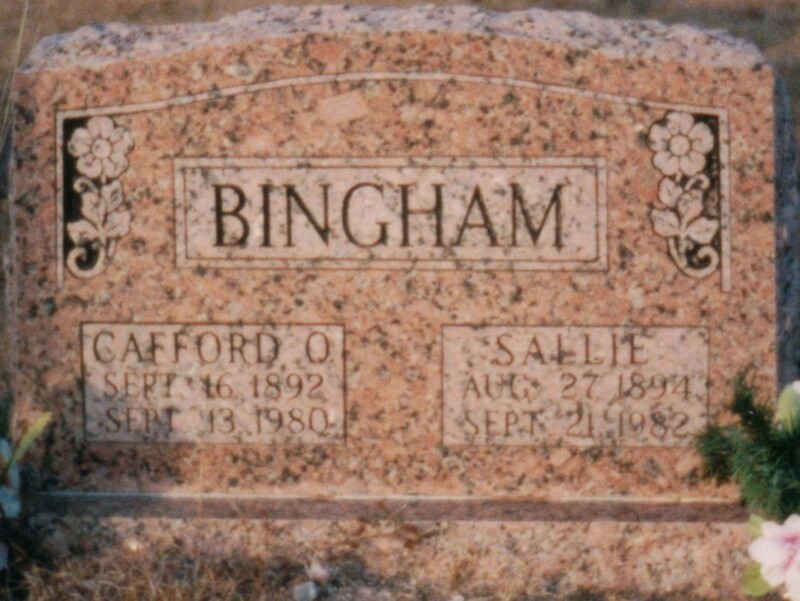 JOHNNIE MAC BINGHAM b. December 02, 1929, Calf Creek, McCulloch County, TX; d. January 15, 1933, Calf Creek, McCulloch County, TX.